As Nigeria marks its 56th Independence Anniversary, very few Nigerians would expect any form of celebration or excitement. Independence from colonial rule in 1960 has brought the country so much to be cheerful about, but 56 years later, also a lot of regrets. I am not one of those who imagine that we would probably have been better off if we had remained under British rule, but that there are some Nigerians who still entertain such impossible thought indicates the depth of the people’s anxiety about Nigeria’s post-colonial reality. The big issues are well-known: the failure of leadership, corruption, and perpetual anxiety about the future. Every October 1, Nigeria is described as “a crippled giant”, a “toddler”, “a broken nation”. And the various editorials, year after year sound so repetitive as they focus on an economy that is not working, the failure of public infrastructure, leadership crisis, the bad habits of the political elite, religious and ethnic violence, disunity, national insecurity, and so on. As we mark October 1 this year, we should perhaps avoid the beaten path and draw attention to the reasons why we should be happy with our country and proud to be Nigerians. Whatever problems we may have, hope is not lost. We are still the country of some of the most talented people in the world. Nigerians are gifted, hardworking and in many ways exceptional. This is the country of Wole Soyinka, Chinua Achebe, Jelani Aliyu, Chimamanda Adichie, Philip Emeagwali, Kanu Nwankwo…It is the land of great achievers of all time in all fields of human endeavour. It is the heroism of the talented Nigerian who has put this country’s name on the global map that I remember as I think of Nigeria at 56. I also look around and admire the energy and creativity of the Nigerian youth. Those young men and women who are excelling and whose distinction inspires some level of confidence in the Nigerian system. For more than 20 years, we have been lamenting that the Nigerian education system has failed, collapsed or to use the usual phrase, “fallen”. But this same system continues to produce young men and women with amazing talents. With a better education system, the harvest could have been richer and better, but oh come on, the entrepreneurial ingenuity of the Nigerian youth, their sheer brilliance and industry reassure us that if we could get it right, this country will yet attain much greater heights. We are in every way, a blessed country. Beautiful flora and fauna: the poor fortunes of the national currency has not affected that. Abundant mineral resources: we only need to manage these better and properly. Travel round Nigeria: our diversity is inspiring. And when you attend any social event in Nigeria, watch out for the gaiety, the beauty of cultural expressions and the capacity of the average Nigerian to force drama out of every situation. 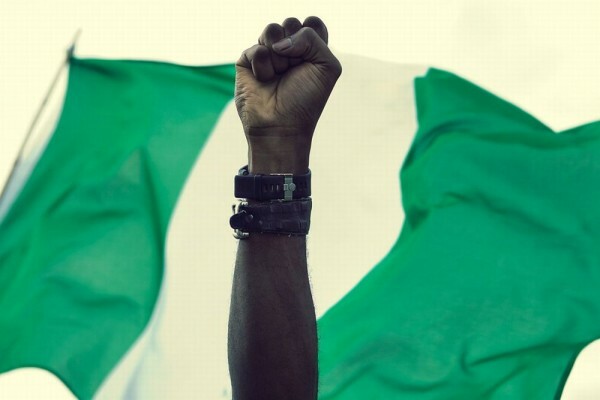 When people talk about Nigeria from a distance, they tend to focus on the negatives: the high crime rate and the mismanagement of resources, but no one denies the fact that this country has what it takes in every regard to be as great as it once was and still be greater. That is what I think of as I reflect on Nigeria at 56. We are also a country of resilient people. It is what keeps us going. There may have been a sudden rise in reported cases of suicide in recent times, but most Nigerians are fighters. They are ready to survive under any situation. They are determined. They never lose hope. They have this special ability to cover up their frustrations, dress up nicely and go to the church or the mosque or other places of worship, and dance and pray and ask God to take control. This may be a form of temporary escapism, but the confidence with which the average leaves everything to God and draws strength from so doing is a unique national characteristic. We are still the biggest market in Africa. Many investors may have shut down their businesses and fled the country due to the current economic recession, but as surely as night follows day, they will return. The Nigerian market boasts of over 200 million people who need all kinds of services. This country will always be a destination for those who want to sell and buy and invest. We may be weak, but we are still a giant nation. There may be violence in the North East and other parts of the country, but Nigerians are generally peace-loving and hospitable. As we celebrate Nigeria at 56, we should remember that this country has survived a civil war; it has survived religious and ethnic violence. It has remained one entity despite calls for its dismemberment. What is required is a re-dedication to the ideals of unity and national progress. This is not a task for the leaders alone, but for all Nigerians, young and old, male and female. We must collectively resolve to make this country work and to ensure that the forces of good do not allow negative forces to overwhelm a nation which has the potential to become one of the greatest nations on earth. People make nations. But too many Nigerians are experts at the blame game. We shift responsibilities. We fail to act as true citizens. And the greatest irony of it all is our religiousity and the gap between private and public morality. When you see religious Nigerians, they can quote the Holy Books with such expertise you’d think they have deposited those books inside their brains. When they pray, they do so with such fervour, you would assume they have a direct telephone line to God. When they wear religious garments, they put up a mien that encourages you to lower your guard. But at other times, they do not translate their religious piety into daily life. This is a part of our national persona that is at the root of all the problems we face. Independence day should be a day of citizen pride. It should be a day of sober reflection. It should be a moment when the entire nation should pause, and look back and look forward into the future. Nigeria’s journey as an independent nation may have begun in October 1960, but our history goes far back into the past, even long before the Amalgamation of 1914. We are a nation of different peoples, cultures and ethnicity brought together by destiny, and circumstances and colonialism. To transform this into real nationhood is the main challenge we have faced since 1960. As we mark Nigeria’s 56th independence anniversary, let no one blame the British for the various fault lines that continue to affect our nation. The British ruled Nigeria for 46 years (1914-1960). We have been in charge of our own affairs for 56 years: that is long enough for us to get our acts together as a people and as a nation. Leadership counts – sincere, honest and purposeful leadership, that is. It is the duty of leaders to show the people the way. Too many Nigerian leaders have no idea in what direction the people should be led, and this has been an abiding source of all-round confusion. I began this piece promising not to complain as Nigeria turns 56, but it is hard I suppose not to do so. But let no one despair. Surely, it shall be well with Nigeria. BrainzNetwork is current the Most Visited Online Platform that Delivers Hot and Informative Content to Our Esteem Visitors. Over the Years, BrainzNetwork has grown so Big to Cater for the ever growing needs of Information on the Internet. Our Mission is to become the Best Online Portal delivering fresh Content Across the World.. BrainzNetwork covers almost all Facet of Life ranging from Tech, Internet Tips, Education, Sports, Entertainment News and lots more. You Can Connect To Us On Twitter & on Facebook For Exclusive Updates.